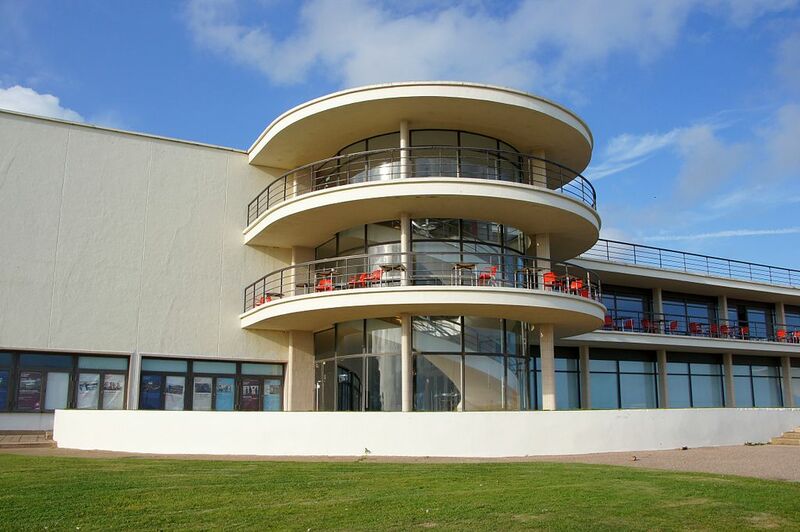 This Modernist building caused quite a stir when it was opened in 1935. 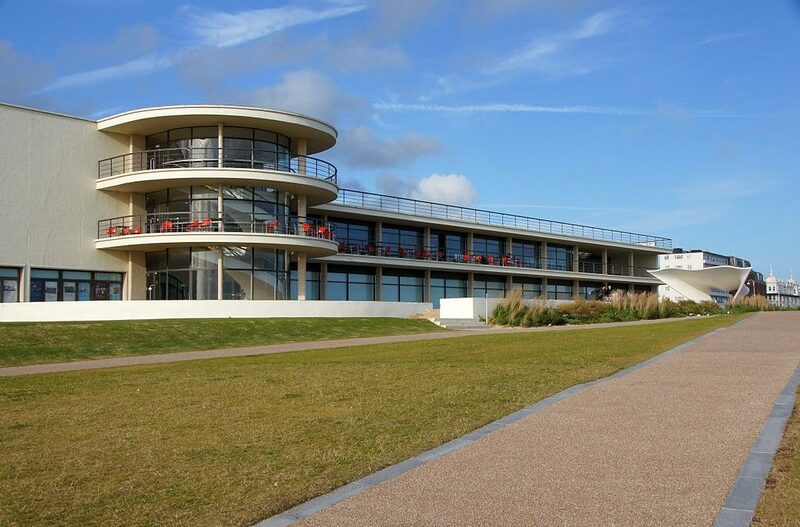 It was the first building in the UK to be created using a welded steel frame and its architects were both fleeing from Hitler’s regime. 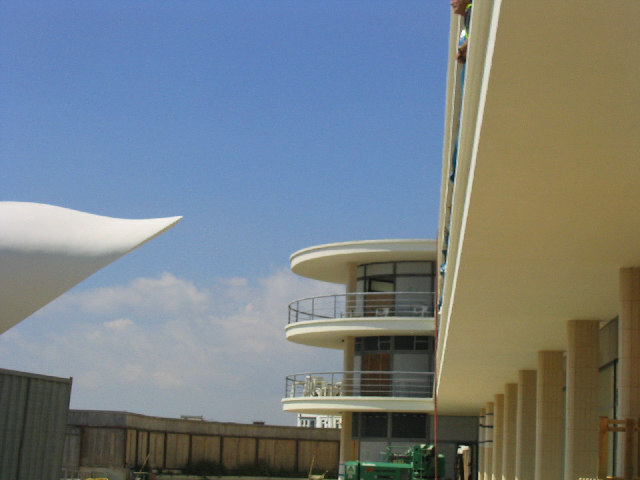 They were German Erich Mendelsohn and Russian Serge Chermayeff and their design was chosen from other entrants to a competition. Mendelsohn was already an established architect in Germany and had already built public and private buildings there including the Schocken department store in Chemnitz in 1928 and the Einstein Building in Potsdam in 1921. Both architects became eminent in their field. The building was opened on 12 December 1935 by the Duke and Duchess of York, later to become King George VI and Queen Elizabeth. Now an art venue, it’s worth mentioning that in 2012 an installation was seen on the roof of the buil;ding featuring a coach that was teetering on the edge. The title of the installation was Hang On A Minute Lads, I’ve Got A Great Idea. That should make you think about something – if you’ve no idea, see here for a huge clue. 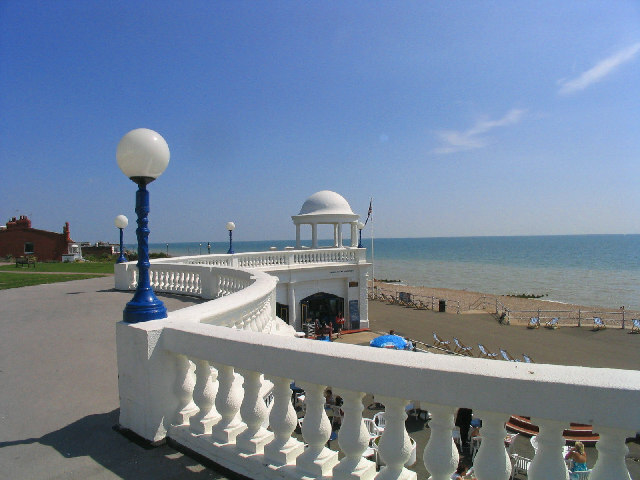 Of course, like so many of Britains most wonderful buildings, the pavilion fell into disrepair but was restored to it’s former glory to become a Grade 1 Listed Building. 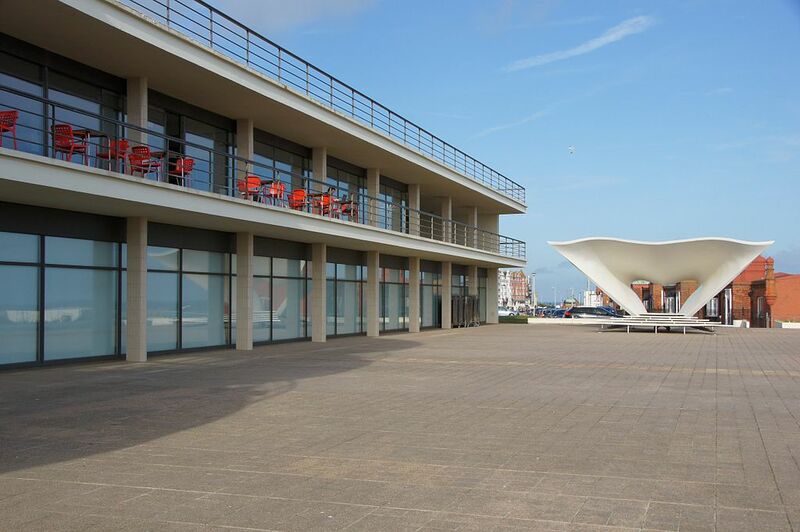 Where is the De La Warr Pavilion?